Perfect fit for your clothes. Perfect fit for your schedule. When your clothes look their best, so do you. But who has the time or skill to turn a tight squeeze or loose waistband into a perfect fit? The expert tailors at Best Cleaners do. They’re conveniently on site, ready to work their magic on any clothing challenge. Burst zippers and seams. Unraveled hems. Major alterations. Even stitching up scout badges. Walk-ins are welcome. And once we start your project, it’s usually back to you in 24-48 hours. Here’s a quick link to our tailoring service price list. Get ready for a clothes-altering experience. Complex project? Pin us down. If you have multiple garments or an elaborate project (like your wedding gown), it’s best to call ahead or schedule an in-home service appointment so we can give you undivided attention. Or anything else you plan to wear with your prom dress, suit or pants. Be sure to have any extra beads, material, or the thread/yarn that came with your garment. It’s critical for the right fit and look. You’re the boss. 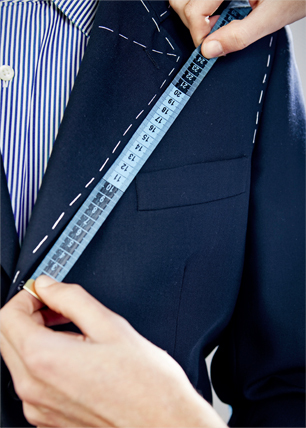 So be honest with your tailor about your desired length and fit. We’d rather move a few pins today than reopen a seam tomorrow. Tailor On Call: We make closet calls. Have a big backlog of items that need nips, tucks or repairs? Own a business or group with uniforms or other items that need adjustments? Round them up and give Best Cleaners a call 1-888-950-2378 to arrange a home or office visit by our Tailor On Call service. Scouts, sports clubs and other organizations get a discount, so be sure to ask about it.